The trip from South Orange County to Utah Motorsports Campus is about 700 miles. I left early in the morning in my 2005 Ford GT to avoid Los Angeles traffic. 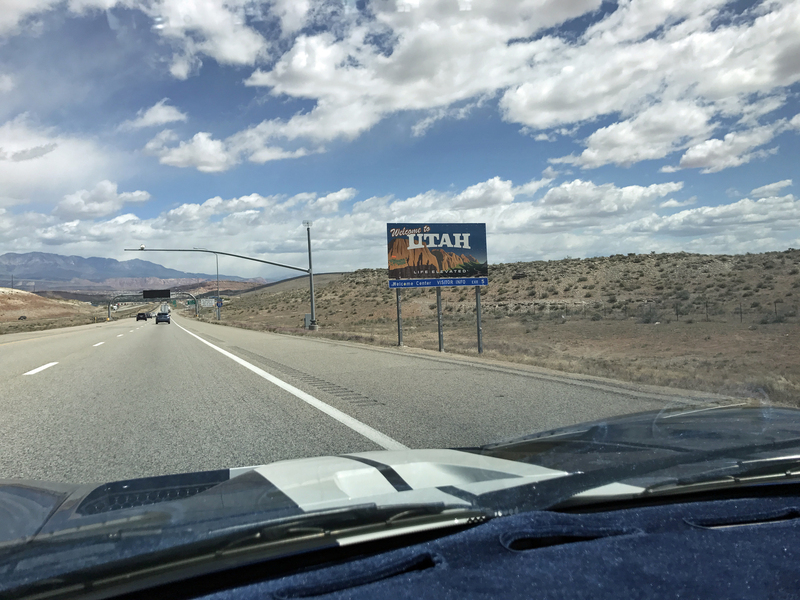 The drive north on Interstate 15 was pretty straightforward through California, Nevada, a little corner of Arizona and halfway through Utah. Then the skies darkened and tiny snow flurries began during my fill up in Beaver, Utah. As a native of Golden, Colorado I’m quite aware of Springtime in the Rockies and what it means in terms of unpredictable weather. Even in late April anything can happen. 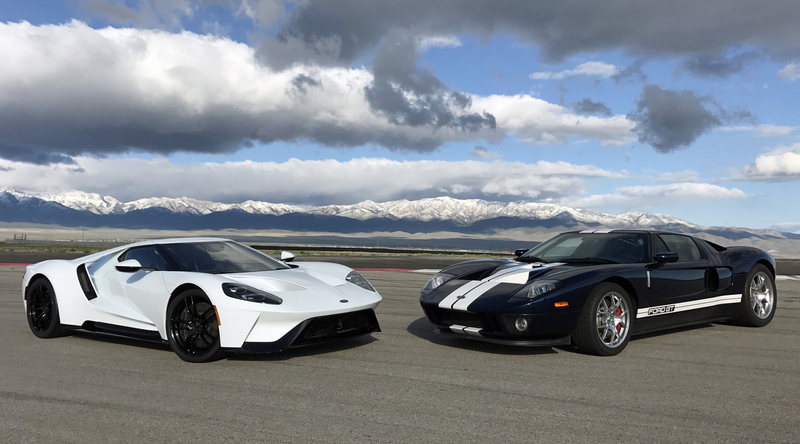 About an hour north of Beaver I heard a light tap-tapping on the Ford GT’s roof and windshield. I didn’t want to believe it was hail, but within 30 seconds the light tapping had become a loud rumble as the highway turned white outside my windshield. 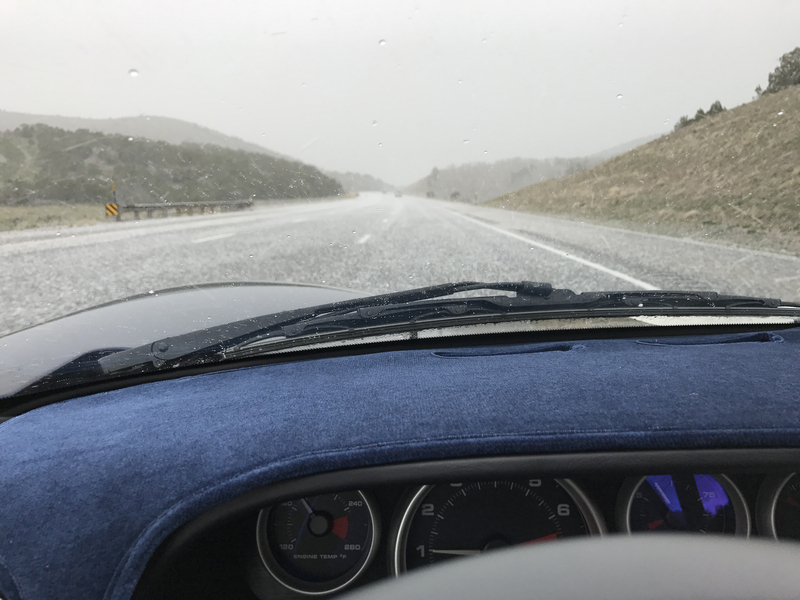 I could see the hail bouncing off the windshield, and it was only about the size of caviar. I was pretty sure it wouldn’t damage the car’s body or paint, but with no bridge in sight all I could do was hope it didn’t get worse. I also got very focused on making smooth, slow control inputs to the steering wheel, brake and accelerator. The hail only lasted about 2 minutes, dissipating as quickly as it began. I continued on to Salt Lake City without incident and was happy to finally check into Ford’s host hotel before the sun set. 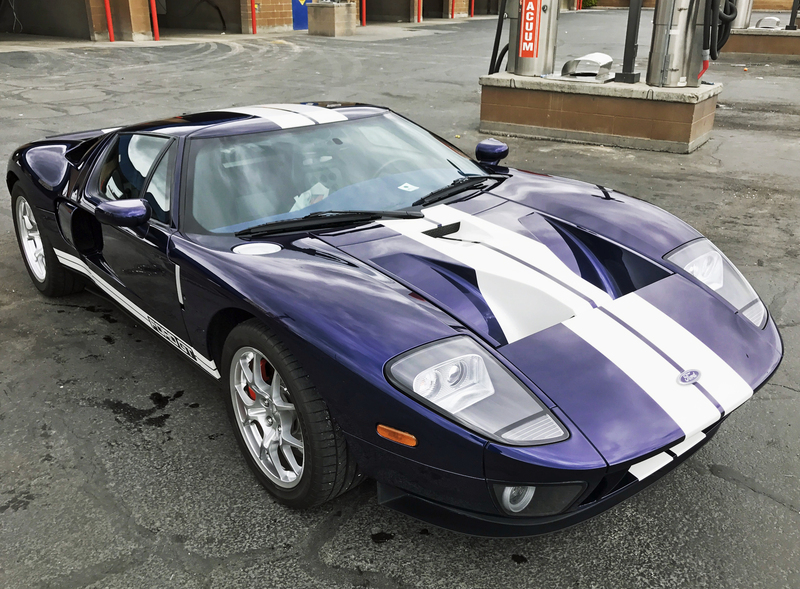 The next day I washed the road grime off the Ford GT and was thrilled to see its unblemished Midnight Blue paint sparkling in the Utah sunlight. 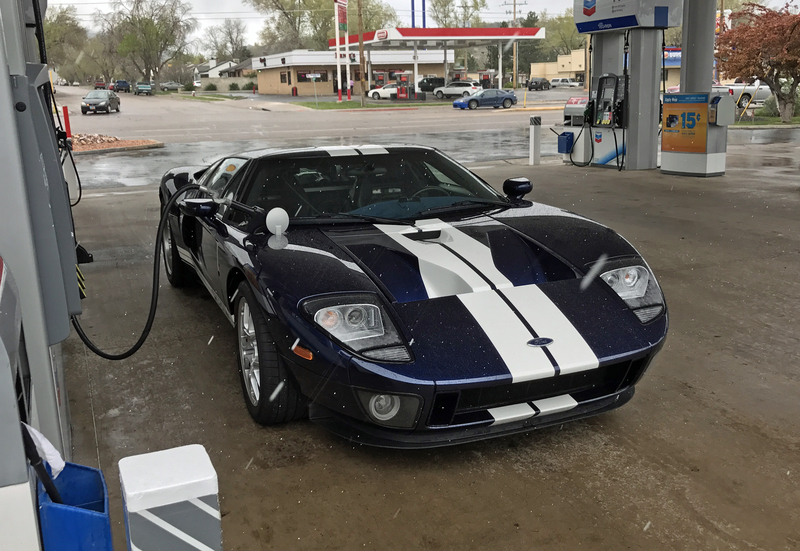 I also met Doug DeMuro the next day so we could shoot my Ford GT (which is now his Ford GT) as part of a comparison between the 2005 Ford GT and the new Ford GT being introduced. I’ll talk more about the event in tomorrow’s post.